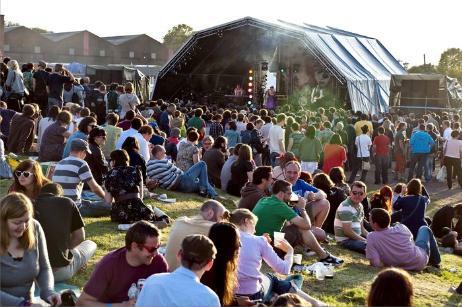 Indietracks - an indiepop festival: Day line-ups and more bands announced! Today we’re delighted to announce which bands will be playing on which days and on which stages at Indietracks this year. In total over 50 bands will be playing at the festival, as well as a host of DJs, and craft workshops. Edwyn Collins, The Hidden Cameras, Help Stamp Out Loneliness, Butcher Boy, Milky Wimpshake, Math and Physics Club, History of Apple Pie, Amor de Dias, Chris T-T, plus 15 other artists, DJs and craft workshops. Herman Dune, Crystal Stilts, Jeffrey Lewis, Withered Hand, Very Truly Yours, Berlin Brides, The Sweet Nothings, A Little Orchestra, Band a Part plus 15 other artists, DJs and craft workshops. The updated line-up includes five additions to the bill: Berlin Brides (the winners of a prize awarded by Velvet Magazine in Greece), Model Village, The Fireworks, Apple Eyes and Tiny Fireflies. Help Stamp Out Loneliness and Math & Physics Club at the same time!! come on, man! !